Nose: Wonderfully rich in fresh fruit notes, with touches of oak furniture and new leather. Palate: Continued grape, apple and mandarin juiciness. Herbaceous at points. Finish: Cinnamon, clove, and lasting sweetness of yellow plum. 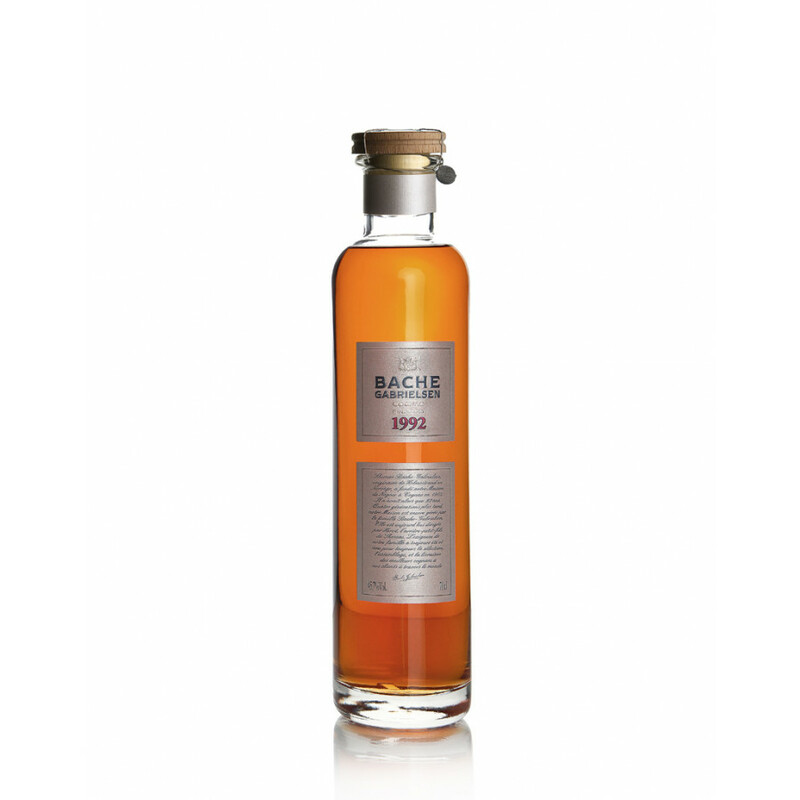 The Bache Gabrielsen Vintage 1992 Fins Bois Cognac is a wonderful expression of the harvest of 1992. The Fins Bois terroir of the region is fast becoming a true favorite with many connoisseurs - and this is a great example of the reason why. Fruity, rich, balanced, and truly round, this Cognac really does offer incredible value for money. As with many of Bache Gabrielsen's products, the presentation is also pretty special. The bottle is of a contemporary style with striking labeling. It also comes in a presentation box that really demonstrates the company's links to Scandinavia. A quality Cognac that would be a great addition to any drinks cabinet.